Until now, I have held back on criticizing the competition directly. It was a difficult decision as it would not have been nice to do so. But looking at the amount of false articles, rumors and baseless accusations the establishment has been hurled, I thought this to be fair game. So here goes. Ah yes, “Towards a First World Parliament”.. Such a seductive war-cry that even the most sober of us cannot help but be lured by the promises of a “new democracy” in Singapore. 1.) Eric Tan from East Coast GRC resigned in bitterness, citing displeasure with having a younger boy getting NCMP status instead of him. 2.) Gerald Giam represented the Worker’s Party proposal on Minister’s salary. With very poor presentation, he embarrassingly revealed proposals that were identical to the PAP’s, yet continued to oppose for the sake of opposing. 3.) Yaw Shin Leong’s extramarital affairs, followed by his silent and immediate expulsion from the Worker’s Party. 4.) YSL then became the first MP to be ousted for “[breaking] the faith, trust and expectations of the Party and People”. 5.) Mr Mohamad Fazli Bin Talip, who was fielded in East Coast GRC in 2011, resigned from the WP. 6.) Pritam Singh was accused of plagiarism. His entire speech in Parliament (on ombudsman in Singapore) had uncanny similarities to a blog post of another netizen. 7.) Chen Show Mao was also accused of plagiarism. In a Facebook note on his page, on the subject of “government spending” seemed to be lifted from another netizen Donald Low. 9.) 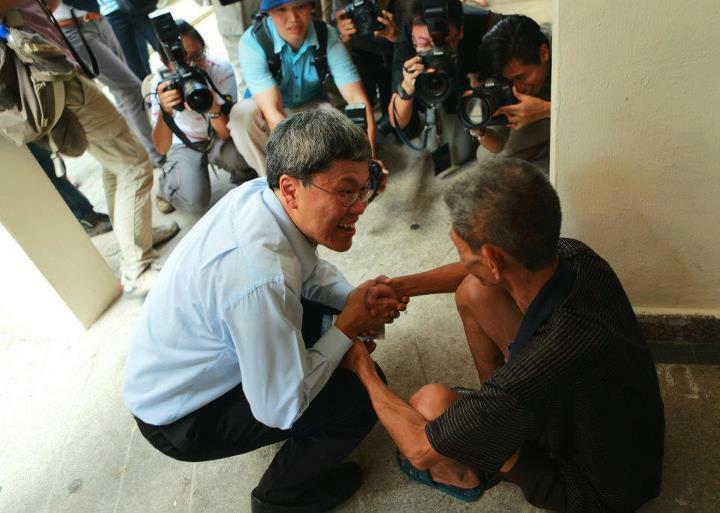 WP issues a statement claiming that “Dr Poh Lee Guan has not informed us of any intention to contest. Dr Poh is still a member of the party.” His profile was silently taken down from the WP website. 10.) The WP continues their tradition of avoiding journalist questions on negative topics – including that of: Is there a split within the Worker’s Party? We’re all thinking citizens. So do consider if these are the people whom you want to build this “First World Parliament” they’re selling so hard on. Today, the media published comments that echos what I feel. “If it (the WP) were in power and had ministers resigning or being sacked, he observed, it would be ‘very troublesome for Singapore’.